CIVCO Medical Solutions was founded in 1981 when a sonographer at the University of Iowa Hospital invented a product to make ultrasound-guided interventions easier for clinicians to perform and safer for patients. Today, CIVCO is a global leader in the design and manufacturing of ultrasound accessories used in hospitals and clinics worldwide. CIVCO collaborates with global ultrasound companies like GE, Philips, Siemens and others, introducing cutting-edge products that make image-guided procedures safer. When I began my career at CIVCO more than 25 years ago, we were a company of 20 employees based in Kalona, Iowa. Since then, we’ve developed hundreds of new medical products, expanded into new segments and global locations, acquired companies, and built our business to employ over 350 associates worldwide, including 150 between Kalona and our corporate headquarters in Coralville, Iowa. CIVCO is focused on developing market-driven product innovations that solve clinical problems. We encourage all employees to bring forward ideas based on what customers demand, regularly rewarding and advancing product ideas that come from our team. We’ve also forged strong relationships with the University of Iowa, Iowa State, and Kirkwood in training and education, recruiting, research, and innovation. Just as I’ve had the good fortune to do, CIVCO associates are building careers within a high-performing, growing organization that supports personal and professional development. Whether you’re starting your career at CIVCO or you’ve been with us for 20 years, we work with all associates to understand your professional goals and provide opportunities to learn new skills, expand capabilities, and advance in the organization. Working at CIVCO is like being part of a big, fun family. CIVCO associates take great pride in serving customers, creating high-quality products, and building lasting relationships with colleagues. Our Iowa roots allow us to hire exceptional people who value integrity, accountability and community, which gives us a unique advantage to compete in the global medical device market. 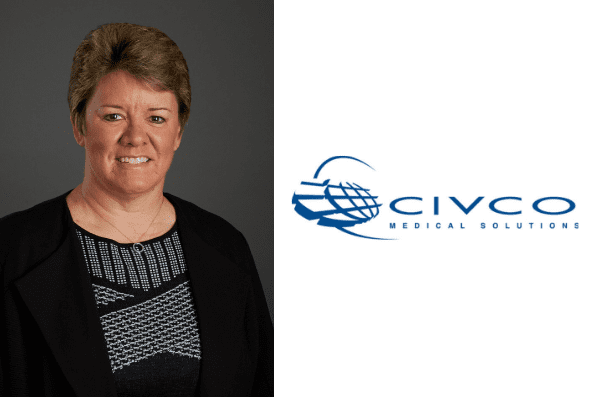 Robin Therme is President at CIVCO Medical Solutions. Prior to serving as President, Robin managed multiple areas at CIVCO, including customer service, marketing, product management, operations, engineering, R&D, and OEM and international distributor business development. Born and raised in Iowa, Robin understands the value in serving her community, currently sitting on the board for the Iowa City Area Development Group, the legislative committee for the Iowa City Area Chamber, and the Executive Leadership Team for Go Red for Women.